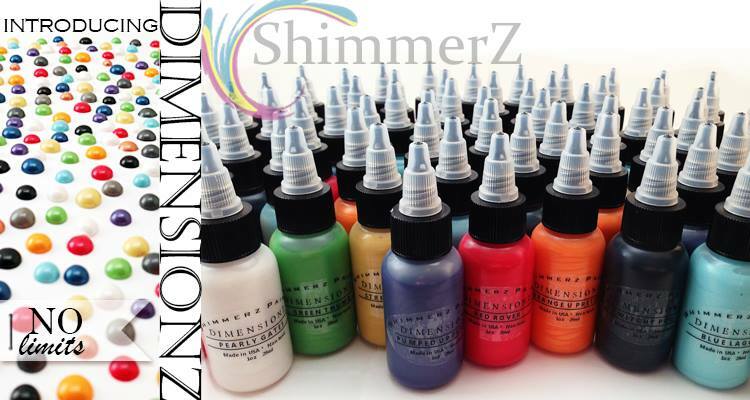 I’m super excited to have received the newest Shimerz’s product called Dimensionz and I was happy to get a chance to play with this product on this layout below. The first thing I did was paint inside a spiral stencil in 3 different Dimensionz colours: Blueberry Hill, Green Thumb and Blue Lagoon. I simply squirted some paint on my craft mat and painted inside the stencil using a brush. Once dry, I squirted raised dimensional dots over some of the areas. I painted the 2 Crafty frame using the Blueberry hill Dimensionz paint. 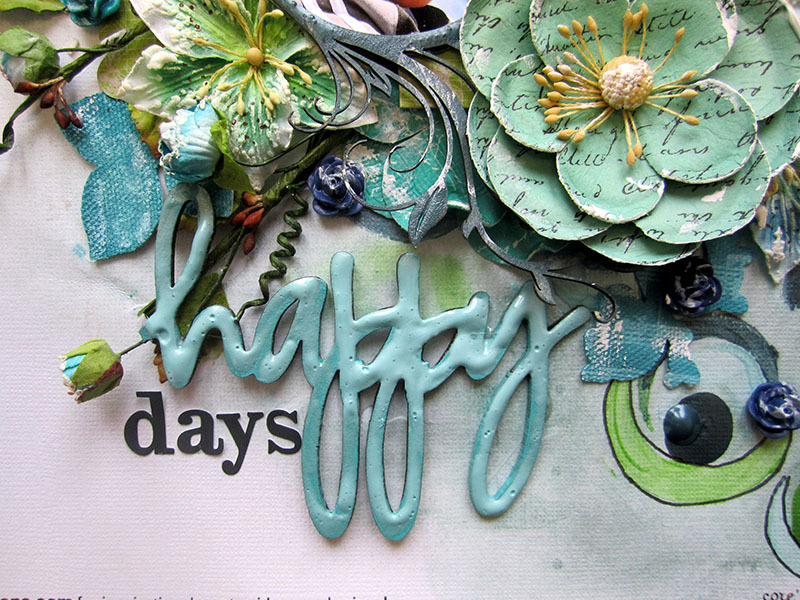 The 2 Crafty chipboard title “happy” was covered in Blue Lagoon Dimensionz. I was able to achieve a dimensional raised appearance because I applied the paint thickly on the chipboard. If you want to purchase these new products you can go to the Shimmerz store HERE. Just make sure you mention my name in the “Instructions to Merchant” box during checkout and you will receive a free sample of either Texturez or Dazzlerz. It’s a perfect oportunity to get a hold of some new products and even take advantage of the Shimmerz sale as Stacey is retiring some of the old products!! Have wonderful day and week!! 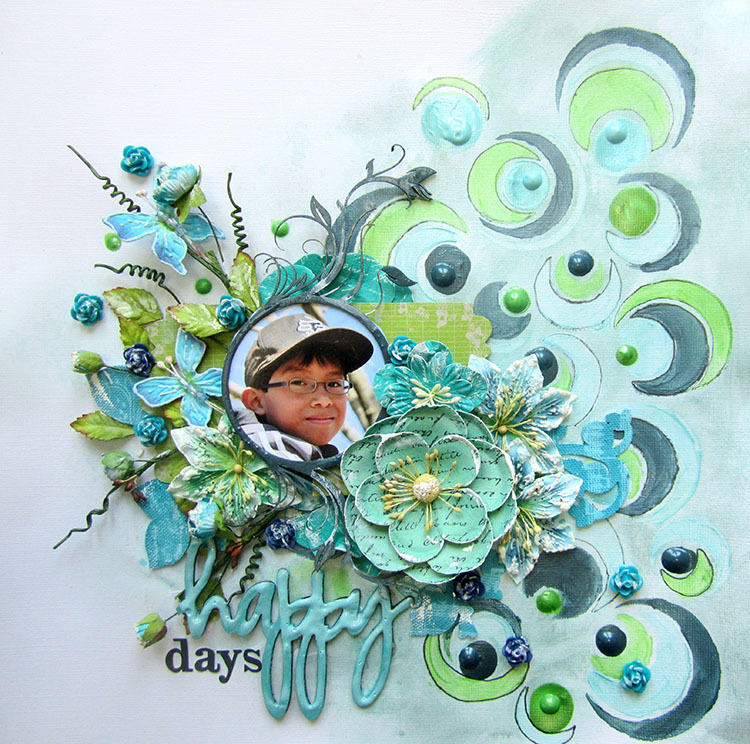 Wow – what a cool effect, and so beautiful in your hands, Keren! Love the Blue Lagoon on the "happy" – looks amazing. Sorry to be so behind… life is slowly getting back to normal after the big house move (clearing and leaving the family home of 40 years), so I'm looking forward to doing some catching up over the next days and weeks! Keren this layout looks amazing, I love what you've done inside the stencil and the colour choice is brilliant, love it. Wowwwwwwwwwww!! This is gorgeous!! I love love love love the colors and all those circles!!!!!! Wow. Super fun background! LOVE the colours! Okay, this one is my new favourite of yours!!! Wow, wow and WOW!!! Love this page….it's beautiful and I really love the styling! Beautiful work with the Shimmerz…must really make a plan to get some! Keren, this page is stunning! a real eye candy. Love it! I think you already know I am over the moon with this one! The spheres, the colors and great artistry! Not to mention a cute photo! This is very creative & I am predicting a pattern come back. I am seeing more & more people adding more design to their back pages & using printed paper as their backing sheet!